Facebook recently has introduced a video autoplay feature for users. With this new feature, videos will be automatically played while you are browsing your Facebook newsfeed. When you are using Facebook, there are many reasons to stop auto playing videos on Facebook. More Facebook users like to decide which video plays and which doesn't. 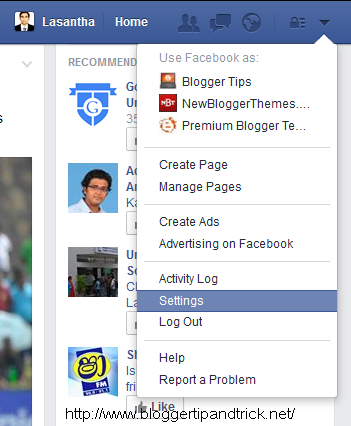 First, log into Facebook account and click the arrow icon in the top right corner of the screen. Now click on "Settings" link from the drop-down menu. Now you can see Facebook settings page. This settings page includes a variety of options. Click on the "Videos" option at the very bottom of the option list. In video settings page, you can see a video On/Off button. Select "Off" to disable Facebook video auto playing. You are successfully turn off Facebook video auto play option.